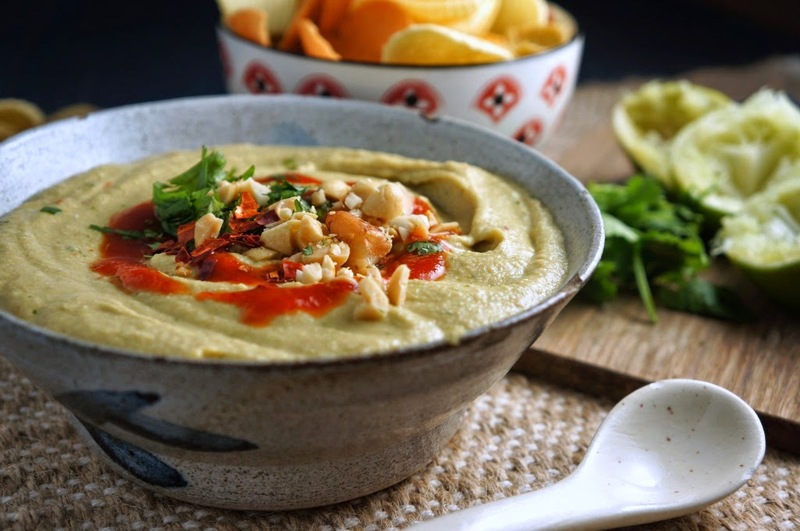 Another spicy hummus recipe. Are you surprised? I know you're not! I did things a little differently this time to keep it interesting, though, using Thai inspired ingredients instead of the same old same. Thai food is one of my absolute favorites, and I don't get to have it nearly as often as I would like. 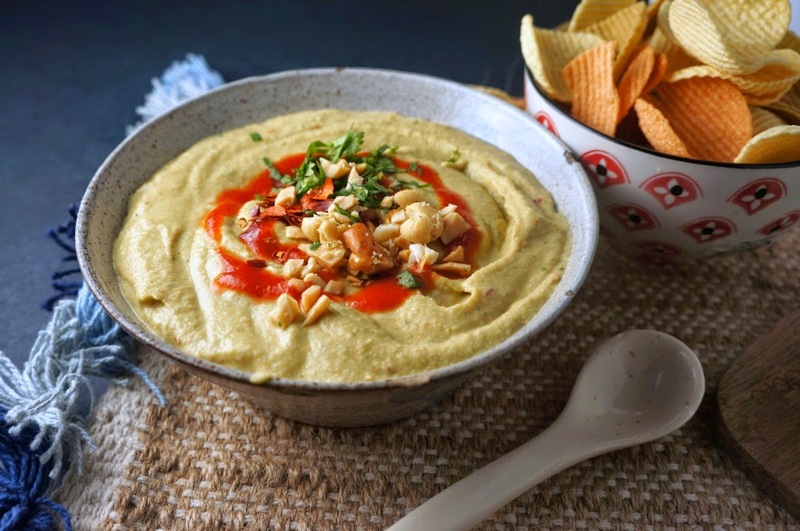 This is a great way to bring all those great flavors together in an easy to make dip for chips, veggies, pitas, sandwiches, or whatever your heart desires. You'll notice in this recipe strong coconut and peanut favors with a nice spicy kick from the cayenne, jalapeno, and sriracha; complimented well by the lime, cilantro, and cumin. There are really so many ways you could take a recipe like this, depending on your tastes, so don't be afraid to experiment. In the future I'm hoping to try variations using lemongrass, Thai basil, and curry. I'd love to hear what you come up with! There aren't really any special instructions for this; just blend everything together in a blender or food processor until smooth. The only recommendations I have are to put the liquids in first, and to make sure you heat the coconut oil first, so it's not in solid form when you add it to the blender. Otherwise, you would probably have to take everything out of the blender, heat it, and then put it back in...not speaking from experience or anything. Also, this is pretty coconutty, so if that's not your jam, I recommend using much less coconut oil or substituting it for something else. I think I'm going to try it next time with some sesame oil, but not sure yet how that would turn out. If you have any suggestions, let me know! 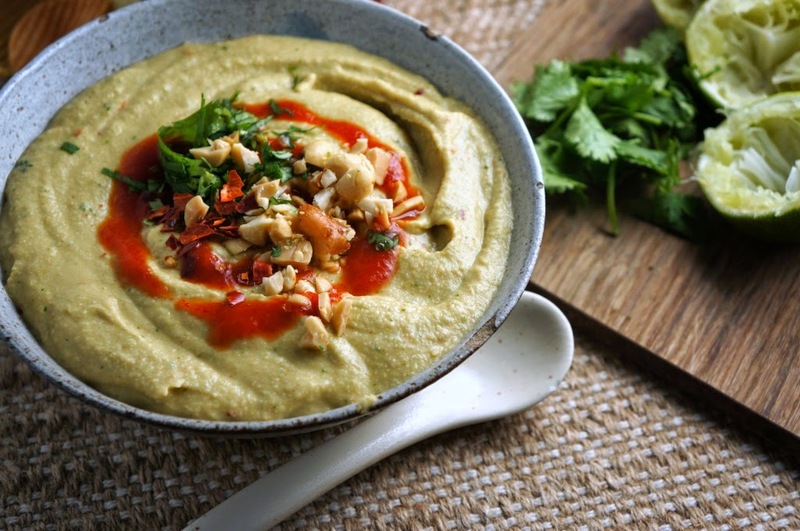 I often make my own hummus but never have made a thai spiced version before. What a delicious idea and recipe!